Arguably the most diverse geographic state in the nation, California is home to the highest point in the lower 48 (Mount Whitney) and the lowest point in North America (Death Valley), which are a mere 150 miles from each other. California also has some of the oldest and largest trees in the world in the northern Redwood Forests. 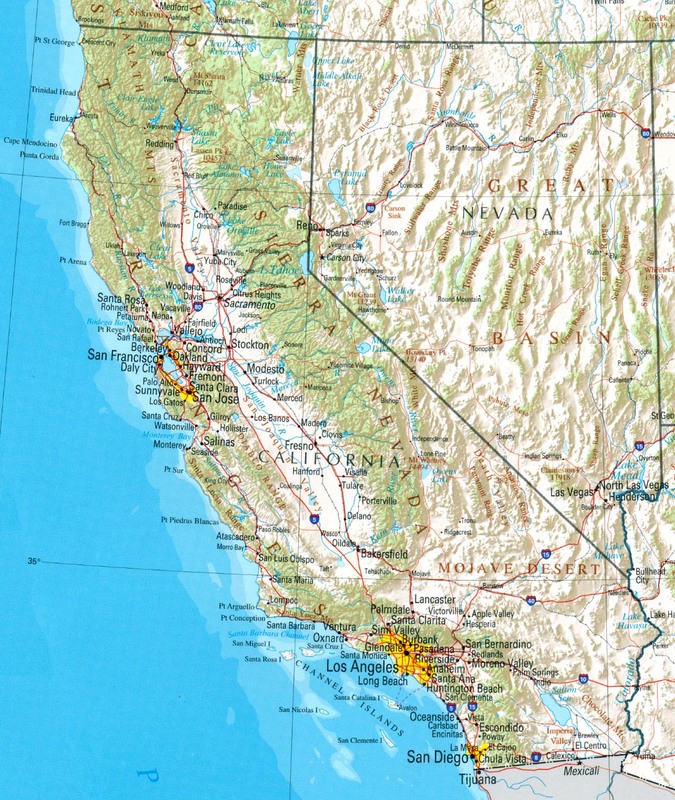 Earthquake-prone and dotted with volcanoes, California originally included some parts of Nevada, Utah, Wyoming and Arizona, as well as Baja (lower) California in present day Mexico. The regions coastline was explored by Sir Francis Drake in 1579, but it was not until the late 1700's that California was significantly populated by European settlers, the majority of which were Spanish missionaries. 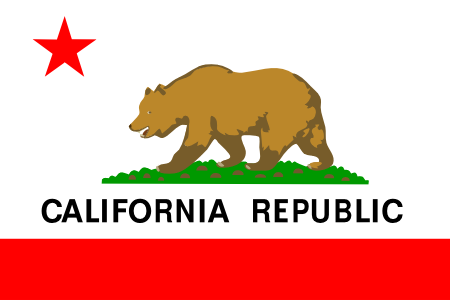 Just before the outbreak of the Mexican-American war, the California Republic was declared and the Bear Flag was raised for the first time in the town Sonoma. The new Republic did not last long however, as the U.S. Navy appeared in the San Francisco Bay and declared California a part of the United States. Only a few years later, the Gold Rush struck California, bringing floods of prospectors and adventure seekers into the state. Railroads and road links were established over time (most notably the trans-continental railroad in 1869), turning California into an emerging force in the Union. If California were its own country, it would have the 6th largest economy in the world according to the California Legislative Analyst's Office. The nation’s most populous state has a tremendous effect on American economy, culture, and identity. Los Angeles is the largest city in the state and 2nd largest in the country. Considered an entertainment Mecca, Los Angeles encompasses the city of Hollywood, home to the most powerful cinema industry in the world. Further down the coast, San Diego is one of the fastest growing cities in the U.S. In the north, California is dominated by San Francisco bay area. The region between San Francisco and San Jose, known as 'Silicon Valley', is headquarters to some of the largest software and computer companies in the world. Sacramento, the state capital, is often overshadowed by more powerful Californian cities, but is itself a fast growing urban area. The dominant industry in California is by far agriculture, with exports of fruits, vegetables and wine. Other major industries include aerospace technologies and entertainment. There are major economic disparities between the wealthy coastal areas and some areas of the agricultural interior. California, now a bastion of the liberal Democratic Party, was at one time a largely conservative state. It has sent its 55 electoral votes to the last 4 Democratic presidents however, and Republican politicians in California are often considered moderates on the national scene. 8th March 2011	 You need to put this site on FaceBook? more people can see and get this valuable info. 8th March 2011	 You need to post this website on Facebook, more people would be aware of these statistics? 27th October 2006	 Your pages content is clipped on right hand side. I think your nested tables could benefit from percentages ISO pixels. Not sure, would have to examine the framework in detail. The site's great. Gave me the data I need right away with no runaround.